Did I lock the door? Did I turn off the lights? A few years ago, those questions would have caused a homeowner to turn the car around and drive back home to make sure the door was locked or that he or she had turned off the lights. Fast-forward to now, and you can simply tap your smartphone and lock your door or turn off the lights. That’s the power and convenience of a home automation system. Home automation security is more than surveillance cameras accessible by computer or smartphone. Home automation security makes it possible for you to control various devices and appliances in your home from anywhere you have access to the internet, be it by smartphone, tablet or computer. Arriving home from work after dark? Use your smartphone to turn on the lights before entering your home. Worried about someone snooping around your property? Access your outside security camera from your computer and get the peace of mind you deserve. In the past, home automation was reserved for businesses and luxury homes. However, apps that help you monitor and control your home remotely are common and affordable. 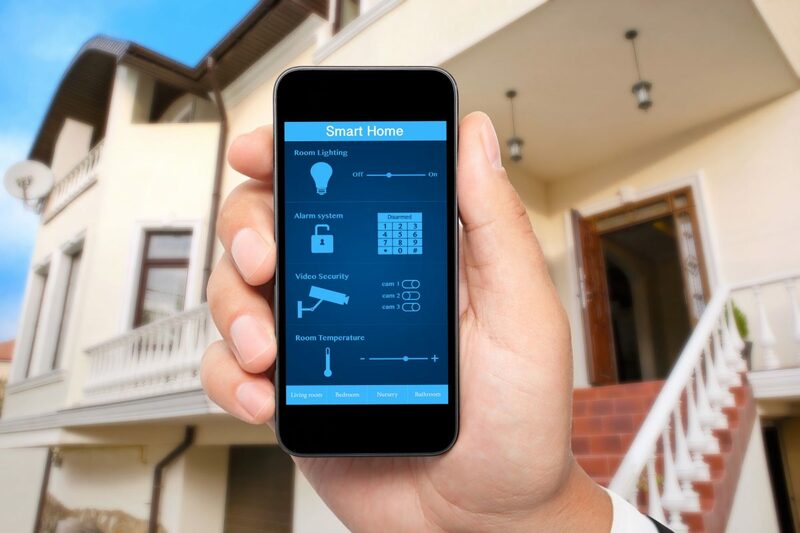 Technology that makes a home smart is not limited to conveniences such as locking doors or turning lights on or off; a home automation system can save on energy costs. If you set your thermostat at a higher temperature on a winter day because weather reports indicate very cold weather, and the forecast changes, home automation allows you to adjust the temperature accordingly. Whether you travel on business for a few days or take a vacation, you can monitor your home and keep it secure. If your teen arrives home from school and you are not there, access your home surveillance camera by smartphone or computer to check on him or her. You can ensure that doors are locked and that no suspicious characters are lurking around when your teen home alone. Security Center USA can help you put home automation security to work in your home. A representative will evaluate your property and help you determine your safety and security needs. Whether you need a basic security system or full home security automation, Security Center USA can help. If you reside in the Jacksonville, FL area and are ready to put home automation security to work for you, give Security Center USA a call today. You will see the difference a home automation system can make for your family.